I just read in Allkpop that WLS will have a sequel . . . it's an honor for the original WLS, I think, coz it's that famous and beloved to have a sequel . . . well, good luck for the performers and drama crew because the original is a tough act to follow. Classic drama 'Winter Sonata' starring Bae Yong Joon and Choi Ji Woo to have a sequel! 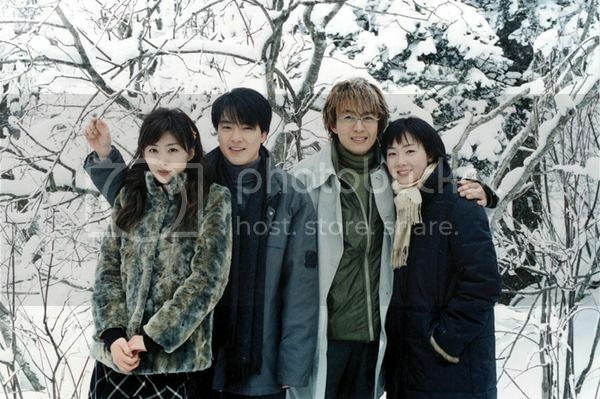 'Winter Sonata' is a classic Korean drama starring Bae Yong Joon and Choi Ji Woo that took both the nation and its surrounding Asian countries by storm. Now there will be a sequel! Chief Park Young Suk of 'Winter Sonata's production company, Pen Entertainment, divulged on April 14, "We will be producing 'Winter Sonata 2.' We will gather a lot of the staff members, such as the writer and director, of the first one once again for a second one." Writers Yoon Eun Kyung and Kim Eun Hee and Producer Yoon Suk Ho of 'Winter Sonata' from 2002 will be reuniting for a sequel thirteen years after! Currently, the two writers have proposed an idea for the storyline and are writing the synopsis, which should be out around next month. Chief park said in an interview with Yonhap News, "We started planned the sequel a long time ago. We had tentatively wanted to create the sequel ten years after the first one aired, and we think the time is now."